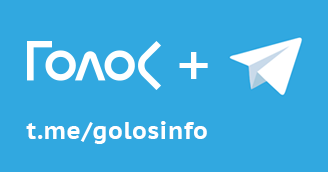 Throughout the presidential election campaign, Golos Movement was engaged in public monitoring of the process. The movement’s observers (the phrase “movement’s obsevers” is used to denote the citizens who collaborated with the Golos Movement) organized long-term and short-term public monitoring throught all stages of the election campaign. On the election day, the hotline of the joint call center received over 6,000 calls. Throughout the campaign, the “Map of Violations” collected 3,000 reports, of which 2,000 were filed on the voting day itself. We monitored the election campaign concerning its compliance to free election standards and principles of equality. Monitoring is based on the data received from the regions from the participants and organizers of elections, from public observers and voters, using different channels, including 8 800 333 3350 hotline, the “Map of Violations,” media, and internet. Golos also ran special information services called SMS-HQ and SMS-CEC. Honest elections are those in which all candidates have equal opportunities and run a free and competitive campaign. Honest elections are the ones with no forced voter participation, whose results enable us to credibly determine the voters’ genuine will. 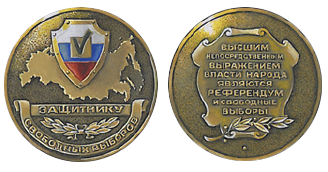 In preliminary assessing Russia’s presidential elections, Golos would like to state that, while admitting the winning candidate’s indisputable formal leadership, we are forced to observe that these elections cannot be ruled as genuinely honest — and their results do not fully conform to the Russian Constitution, the other Russain laws and international electoral standards, because such results were achieved in the course of restricted, uneuqal and uncompetitive election campaign. This precludes us from asserting that the voters’ genuine intention was shaped by the free election campaign. It should also be noted that the registered facts of electoral fraud and procedural violations, including those committed in the process of vote counts, require additional examination, including the detailed analysis of video recordings from the polling stations. Only following that analysis, we can give the final assessment of the election results. Russian presidential elections of 2018 were held against the background of restricted political competition. In many regards, this is the result of the current restrictions on citizens’ elegibility for public office and the nature of pre-election coverage on the part of the [state-run]media. In the absence of real competition and in response to the boycott campaign, the authorities mobilized the constituencies dependent on the budget using diverse set of methods. One of the campaign’s features was the wide-ranging engagement of minors, both for mobilization of voters and for actual political campaigning. At the same time, we should note the positive role of the election commissions, which significantly improved their communication with the citizens regarding the latter’s voting options. 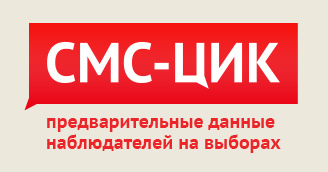 The coverage of the media outlets, the greater part of which is in one way or another controlled by the state, was characterized by manipulations and biased presentation of information about the candidates, which prevented the citizens from receiving objective and verifiable facts about the candidates. The expression of voters’ will was considerably influenced by activities of the current President during the election campaign, conditioned by his position of power, which received a wide coverage from the media. We can, at the same time, note the much greater transparency of the election commisison system as compared with the previous presidential elections. Overall, the interaction with the public observer community, including on the voting day, has improved. The Central Election Commission (CEC) of Russia created a more convenient system that allowed the people to vote at their place of current residence, but it proved to be imperfect and did not eliminate opportunities for administrative abuses. In the run-up to the election day, the state upped the pressure on the civic activists and independent observers. This consisted of attempts to prevent independent observers from setting up a call center, and using political surveillance and black PR against them. Thanks to the interference of the CEC chairwoman on the eve of the election day, the pressure on Golos Movement was minimized. We’ve had numerous reports about instances of pressure applied to the voters who called for people to realize their right to boycott the vote. Independent observers had registered the following principal features of the election day. On the eve of the election day, the Golos Movement analyzed the reports it received. Altogether, from the start of the election campaign and until the day of silence prior to the election day, the “Map of Violations” reflected 977 reports. Of that number, 549 reports contain information about activities to increase voter turnout and mobilize the students, government employees, and the employees of state and private enterprises and organizations. Of that number, 83 reports involved pressure on voters to change their polling station; 221 reports concerned coercion to vote in one way or another; 241 reports spoke about control of the voter turnout; and 96 — about the use of incentive methods. 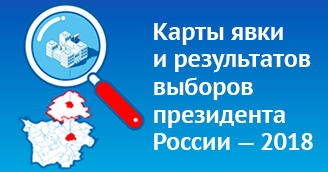 These reports, which came from different regions, along with results of long-term monitoring activities, testify to the full-scale mobilization campaign, which wasn’t organized by the candidate himself, but by the regional and local administrations, sometimes acting in alliance with United Russia party’s branches. This tendency was reflected on the eve of the elections in the Central Election Commission’s own data about the number of voters who submitted requests to cast their ballots at the place of the current residence. The express data analysis on the number of voters (for more details, see the analysis done by the member of Golos Movement Council Arkady Lyubarev www.golosinfo.org/ru/articles/142556), who submitted an application to vote at the place of the current residence, which were published by CEC of Russia, demonstrated that intraregional “migration” of voters significantly exceeds interregional one. Altogether, approximately 5.7 mln people submitted the applications to vote at the place of the current residence. Reportedly, the size of interregional migration unlikely exceeds 1 mln voters, and therefore we can assess intraregional migration as exceeding 4.5 mln. We should pay special attention to the regions where such practice with applications was already used in September 2017 elections. In these regions, the number of voters assigned and removed from different polling stations has grown in just 6 months by several times: in Buryatia by 7.3 and 8 times; in the Yaroslavl Region — by 8.2 and 7.9 times; in the Ryazan Region — by 9.4 and 9.2 time; in Karelia — by 10.1 and 10.6 times; in the Kirov Region — by 19 and 23.3 times, and in the Tomsk Region — by 24.7 and 24.1 times. Inside these regions, the numbers of voters who were assigned or removed from various polling stations has a very uneven distribution. Overall, there are 4,821 polling stations that had 200 or more voters assigned. That’s just 5% of all polling stations, but they were assigned 1,664,475 voters, or 30% of the total number of electoral migrants. We uncovered coincidences between reports received by the “Map of violations” regarding coercion of voters to vote at specific polling stations and the large numbers of voters assigned to those polling stations. The polling stations with large numbers of assigned voters often include the polling stations located at or near the student dorms, vocational schools and large enterprises. Throughout the election day, many of these polling stations experienced long lines, organized shuttles for the voters and attempts to control their participation in the voting process. One may state on the record that the new procedure of voting at the place of the current residence was used as a method of voter coercion, particularly at specific polling stations, ‘attached’ to enterprises, schools, universities, and army units. 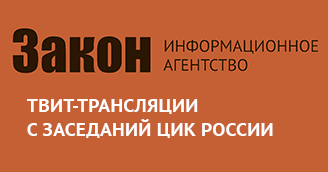 In the early hours of March 18, Golos’s hotline and the “Map of violations” began receiving reports from the regions regarding voter coercion and administrative control of voter turnout. The observers also documented the instances when voters were incentivized to vote with the help of additional services: souvenirs for the voters, selfie competitions, prize draws, cinema tickets, discount coupons for different services, “school referenda,” “parent-teacher conferences,” public opinion polls, etc. At the same time it should be noted that under current conditions, the voters were primarily incentivized to simply take part in the elections, without coercing them to vote for the specific candidate. In the process of preparing for the election day, the election commissions removed approximatly 2 million entries from the registers of voters, including “duplication of voters” and so-called “dead souls.” But in some of the regions, the result of this cleaning spree was that real voters were removed from the registers. A significant number of such reports came from Moscow, Moscow Region, Perm Region, St. Petersburg and other regions. 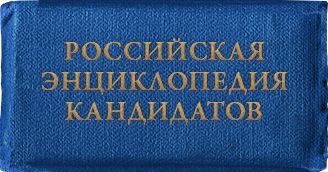 The Golos Movement believes that the fundamental changes to the system of voter registration should become the Russian government’s objective of utmost importance. The need to resolve this issue is also supported by the difference in the number of voters reported at the voting day’s start and finish. In the majority of the regions this number had increased, and in some of them significantly: in Buryatia by 3%, in North Ossetia-Alania by 2.3%, in Chuvashia by 2.1%, at Kamchatka by 2.7%, in the Krasnoyarsk Region by 2.8%, in the Kaliningrad Region by 2.1%, in the Moscow Region by 3.1%, in Moscow by 2.7%, in St. Petersburg by 3.1%, in the Khanty-Mansy Autonomous Region — by 2.7%. As a result, in the course of the election day, the number of voters in the registers had grown by almost 1.5 mln people. This can be explained by natural reasons: the presence of voters with special applications to vote at the place of the current residence, and those who recently changed their place of residence. But this can also be explained by large numbers of voters who were “forgotten,” or even by more serious violations of the electoral law. 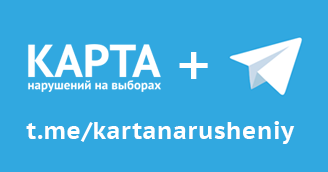 In addition to this, we received a number of reports, which enable us to state that there was a problem with organizing voting at the place of the current residence, if the applications were submitted at the Gosuslugi website and the system of Multifunctional Centers of Government Services. The voters reported that they couldn’t find their names in the voter registers of the polling stations, to which they submitted their applications. There had been cases of unbound books with registers of voters who submitted applications to vote at the place of the current residence, and of voter registers that contained the extra legal marks. The observers also documented the instances when the Polling Station Commissions allowed persons with temporary registrations as well as the persons absent from the supplemental voter registers to vote, having no legal basis for this and using the tear-off stabs of the applications as grounds for permission. We can give a positive assessment to the reduction in numberfs of people voting outside of the polling premises (the so-called “televoting”) as compared with the previous presidential elections, as that number decreased from 8.2% of the total vote to 6.6%. This was accompanied by reductions in record-breaking regional numbers. In 2012, the six record-breakers were the Tambov Region (where 19.8% of all votes were made at home), the Tula Region (18.0%), the Voronezh Region (16.4%), the Stavropol Region (15.4%), the Pskov and Volgograd Regions (15.1% each). This year, the leader was the Penza Region (13.3%), followed by the Pskov Region (13.1%), Voronezh Region (12.3%), Orlov Region (12.1%), Tambov Region (12.0%) and Stavropol Region (11.9%). It seems that such reduction was the result of the Central Election Commission’s efforts and the higher quality of processing the voter applications by the elections commissions of different regions. Nonetheless, the public observers documented the instances when election commissions came to the voters who submitted no applications for “televoting.” Such violations were registered in Moscow and the Moscow Region, as well as in the Krasnodar Region, St. Petersburg, Vladimir, Kursk, Penza, Saratov Regions and a number of others. The converse is also true as there are complaints from the voters who submitted such applications but were never visited by the election commissions. The latter was partially the result of the commissions’ overload with applications that were received through the country’s social services. On the eve of the election day, the public observers discovered that in some of the regions the printed out copies of the Polling Station Commissions’ work notebooks stated that non-voting members of the election commissions are forbidden from taking photos and making videos. On the basis of this, a number of such non-voting members in several regions encountered the attempts to prevent them from taking photos. 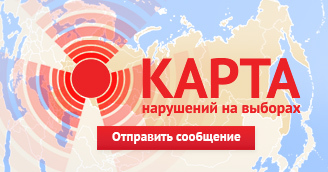 Such signals were received from the Altay, Perm, Leningrad, Tyumen and Chelyabinsk Regions and the Republic of Tatarstan. For example, the deputy chairwoman of Chelyabinsk Regional Election Commission E. Shubina, citing the notebook and overalll “practices,” pointed this ban out to the commission’s non-voting member V. Prikhodkina, who represented Ksenia Sobchak. On the positive note, the Central Election Commission of Russia reacted to this problem quickly and issued its explanation. Nonetheless, on the election day, the reports on injunctions against taking pictures and restrictions on movement around the voting premises were received from Voronezh, Kemerovo, Stavropol, St. Petersburg and Tyumen. Another problem that also came to light on the eve of the election day concerned the assignment of non-voting election commission members to the Polling Station Commissions. The innovation, described in item 1 article 16 of the federal law № 19-FZ states that the “candidate may entrust the appointment of non-voting members of territorial and polling station commissions to his or her authorized representative.” The election commissions and candidates had a different take on this new regulation, which resulted in reports about commissions’ refusal to accept documents from non-voting members appointed by the candidates’ authorized representatives. By way of complicated negotiations and additional explanations on the part of the candidates, including some written communications, the problem was on the whole resolved. Nonetheless, on March 18 we received the reports on the barring of public observers and non-voting commission members appointed by the parties and candidates from Moscow, the Krasnodar and Khabarovsk Regions, Bashkortostan, Dagestan, Karachay-Cherkessia, and the Kemerovo, Moscow and Nizhny Novgorod Regions. Video observers note problems with organization of video broadcasts from the Polling Station Commissions. First, the CEC failed to publish the numbers of Polling Station Commissions where the cameras were installed ahead of time. This prevented the candidates’ campaign offices and public monitor associations from effectively allocating their obervers. 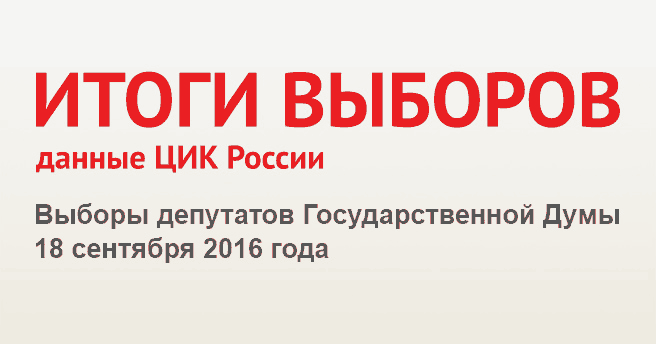 The Нашвыбор2018.рф website with video broadcasts didn’t start operations until March 17, 9:30 pm Moscow time. The observers additionally report about numerous instances of the cameras’ unfortunate location, which prevented them from actually observing what was happening at the polling stations. The video observers primarily complain that the cameras gave a bad view of the ballot boxes. In some cases, members of election commissions deliberately attempted to impair the options of video control, by blocking the cameras’ field of view with foreign objects, in particular during the vote count. Throughout the election day we received repots from different regions regarding ballot stuffing (some of them are documented on video) and possible cases of voting in place of other people. Some of these violations have already been confirmed — the most glaring example was the attempt to stuff the ballot box at the polling station № 1479 in the town of Lyubertsy, where the commission members were removed following interference from the Central Election Commission, and the voting results were declared invalid. At the polling station № 1126 in the city of Makhachkala in the Republic of Dagestan, the voting results were also declared invalid. In Tyumen, the Central Election Commission confirmed the fact of ballot stuffing at the Polling Station Commission № 2239, and results of voting will be declared invalid. In the Kemerovo Region, the results of voting at Polling Station Commission №№ 509 (town of Mezhdurechensk) and 766 (city of Novokuznetsk) were declared invalid. In the Vladimir Region, the chairman of the Polling Station Commission № 160 (town of Petushki) was removed from his position on the morning of the election day. Prior to the polling station’s opening, a public observer discovered 46 ballots in the ballot box. He filed a complaint to the Territorial Election Commission, which reacted swiftly, deciding that all 46 ballots contained in the stationary ballot box should be declared invalid and not be taken into account during the vote count, while the chairman of the Polling Station Commission № 160 should be dismissed from his post. Reports about other ballot stuffing cases came from the Altay Region (polling station № 370), the Leningrad Region (polling station № 118), North Ossetia (polling stations № 141, 249), the Krasnodar Region (polling stations №1158, 2213), Republic of Dagestan (polling stations № 1073, 1284, 1085, 1037, 1126, 1149, 378), Karachay-Cherskessia (polling stations № 11, 155, 144), Chechnya (polling station № 169), the Tambov Region (polling station № 245), the Volgograd Region (polling stations № 419, 4610), the Kemerovo Region (polling station № 766), and others. These facts were uncovered by a rather limited group of video observers, and the true scale of such violations can be evaluated only after processing and analyzing the video recordings from the polling stations, which the Golos Movement began doing on March 19. In the Nizhny Novgorod, Primorsky Region and North Ossetia, the voters who came to the polling stations discovered that somebody already voted for them. In Nizhny Novgorod, for example, the correct passport details were provided by the impostors, but the signatures were forged. In the Altay Region, after the polling station № 78 was already closed, the Golos Movement’s observer accompanied by the international observers from OSCE/ODIHR uncovered the fact of assigning extra votes to one of the candidates. We would also like to give a positive assessment to the reduction in certain voter turnout figures, which raised serious doubts during the previous presidential elections. In 2012, the voter turnout figures in some of the regions were off the charts: in Chechnya the turnout was 99.6%, in the Yamalo-Nenets Autonomous Region — 93.4%, and in the Republic of Tyva it was 92.6%. This year’s highest voter turnout was registered in Tyva (93.7%) where it actually increased as compared with 2012. At the same time, the anomalously high voter turnout did go down in some of the regions: in Chechnya it “fell” to 91.5%, in the Yamalo-Nenets Autonomous Region to 91.9%, and at Karachay-Cherkessia — from 91.3% to 87.4%. Nonetheless, such figures are still too high and raise doubts. We should also note that the voter turnout increased at Kabardino-Balkaria (from 73.1% to 91.8%) and in the Kemerovo Region (from 79.2% to 83.2%). At thes same time, the preliminary results of voter turnout count using the video feeds from a number of regions (Dagestan, Tatarstan, Tyumen Region, Chechnya and others) demonstrated serious discrepancies with the official results. The scale of the problem will be assessed later, after processing a greater number of video recordings. We have written to the heads of the Central Election Commission with the suggestion that the CEC recommends that the regional and territorial election commissions take it slow in summing up the final results at their subordinate judrisdictions in order to give the candidates and public observer associations as well as the Central Election Commission itself time to express and resolve all of the doubts that arise from the analysis of preliminary results. With the help of the special service, the Golos Movement’s observers who spent March 18 at the polling stations responded to the questions that concerned the election commissions’ execution of statutory rules and procedures. The questions were divided into three separate questionnaires: preparation for the polling station’s opening; voting; vote count. Overall, the results of this questioning show that execution of statutory procedures on the election day and in the process of vote count has improved significantly as compared with previous elections. Different steps of the vote count were carried out simultaneously — 12.2%. Judging by the questionnaires, the greatest number of procedural violations was reported in the Kemerovo Region and Republic of Bashkortostan. It should also be noted that the questionnaires also note failures in using touchscreen voting machines, refusals to satisfy the observers’ demands for verification manual vote recount, and the discrepancies between the results of manual and automated vote counts in cases when the verification manual recount was actually carried out. The results of the questionnaire analysis should be viewed as preliminary and will be subsequently verified using the existing video recordings.